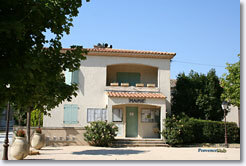 Departement of the Bouches du Rhone - Alpilles - Population : 823 inh. 8 km east of Salon de Provence on the D572. 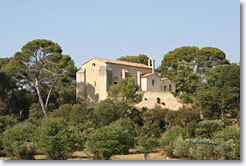 30 km north-west of Aix en Provence. La Barben is a small village, peacefully situated in the middle of the Department of Bouches du Rhône, not far from Salon de Provence. 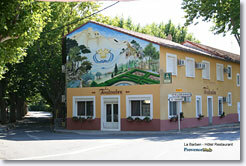 Surrounded by lush green countryside, La Barben extends over more than 20 km² of woods. The River Touloubre and its tributaries cross the municipality's territory and there are numerous springs… even during a heatwave there is no shortage of water here. 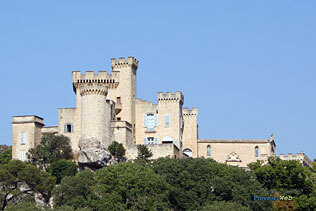 La Barben is fortunate enough to have a magnificent historic monument in the form of a wonderful château. Remarkable both for its interior and its exterior, it is open to the public all year round. 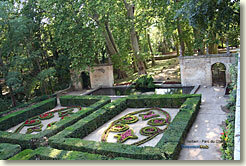 In addition, the château is surrounded by a magnificent garden in the French style which was designed by Le Nôtre (who created the gardens at Versailles). There is also a zoo which extends over 0.3 km²! 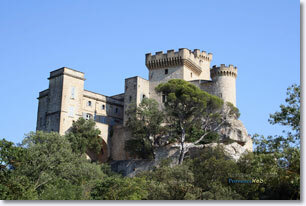 - The castle :This superb mediaeval fortress (mentioned in 1069) belonged to King René in the 15th century. Altered and extended in the 16th and 17th centuries, restoration work was then carried out in the 19th and 20th centuries. Today you can visit the château which has been restored to all its former splendour. Ceilings in the French style, plaster decoration, 17th-century printed cloth… All the rooms in the château have period decoration and furnishings. Whether you visit for the day or stay for longer, La Barben boasts attractions which appeal to both children and adults - and all in the midst of the beautiful Provence countryside (without the restrictions of the crowded coastal region. Moreover, the village’s geographical location makes it very easy to travel to other parts of the region: shopping and museums in Aix en Provence and Salon de Provence which are very close, the famous hilltop villages of the Luberon, the lovely houses of St Rémy de Provence, the olive trees of the Alpilles and the wild horses of the Camargue are not far away. Market Thursday and Saturday mornings. Walking and horse riding. 3 riding centres. 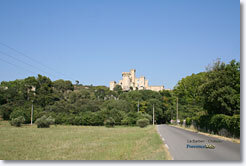 Pélissanne (4 km), Lançon de Provence (7 km), Lambesc (8 km) and Saint Cannat (11 km).